Real Madrid got the third victory (2-1) out of the four games played under Zinedine Zidane against Eibar at home. It was a cold clash, with only 50.000 supporters at Bernabéu Stadium with a cold and rainy weather. 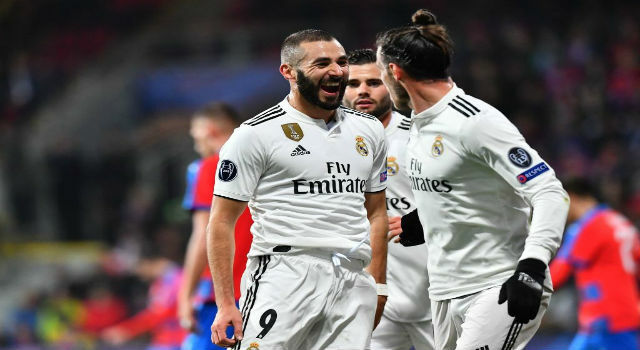 No one expected a great performance after the defeat at Valencia and they were close to see another fall, but Karim Benzema solved it in the second half. 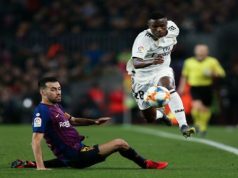 The French manager included Valverde in the midfield and the Uruguayan played a good game substituting Casemiro. Also Reguilón played in the left-back and Gareth Bale was on the pitch, although we cannot say he played for the team. Again a poor game from the Welshman who was booed by the supporters and whose time is running out at Bernabéu. With all these changes, the first half was for Eibar. 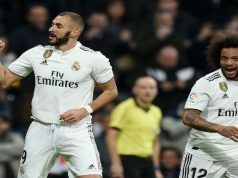 The Basque team already thrashed Los Blancos at Ipurúa and they showed again at Bernabéu that they are a very good team well trained by José Luis Mendilíbar. As a result of this good performance, they arrived at the half time with the advantage thanks to the goal scored by Cardona in the 39th minute. We also want to highlight the poor level showed again by Raphael Varane, a player who is thinking about leaving Madrid, but every time he plays without the captain Sergio Ramos is a nightmare. Luckily, in the second half the team improved. The pressure was higher and they created a bunch of chances. Karim Benzema could have scored 4 or 5 goals, but at least he got a brace thanks to a couple of headers. The first one served by Asensio and the second one by Toni Kroos. The team reacted and got the three points getting closer to Atlético Madrid, after their defeat at Camp Nou. The French striker keeps being one of the good things during the season, the only one whose performance has been better this season than in the past. He has gained another year in Madrid.